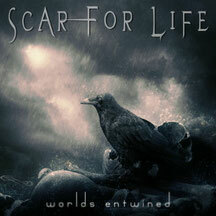 SCAR FOR LIFE will release their 4th album "Worlds Entwined" featuring a new vocalist Rob Mancini (HOTWIRE, CRUSH), through Escape Music on August 29th 2014. 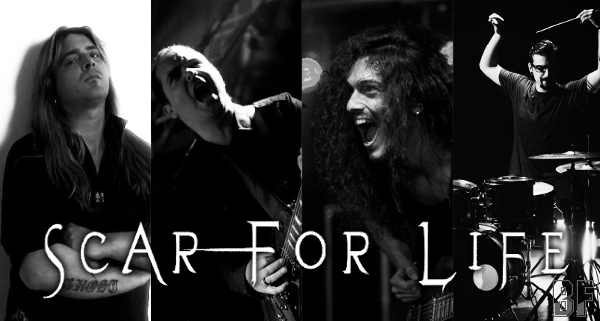 The band was created by Portuguese guitarist Alexandre Santos as his new venture in 2008 and released so far 3 albums - Their debut album "Scar For Life" (2008), the 2nd album "It All Fades Away" (2010) and the 3rd album "3 Minute Silence" (2012) - and also released a compilation album entitled "Retrospective" in 2013. This 4th album "Worlds Entwined" features a number of special guests such as Vinnie Appice (BLACK SABBATH, DIO), Neil Fraser (TEN, RAGE OF ANGELS), Michael Carlsson (LOVER UNDER COVER) and Anne Victorino d’Almeida. The band’s new opus was mixed and mastered by Swedish producer Martin Kronlund at JM Recording Studio Sweden.